With proper care, even teeth that have had root canal treatment can last a lifetime. But sometimes, a tooth that has been treated doesn't heal properly and can become painful or diseased months or even years after treatment. If your tooth failed to heal or develops new problems, you have a second chance. 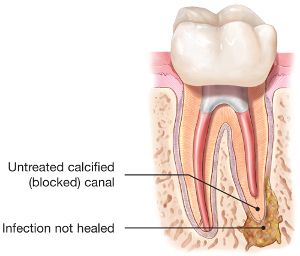 An additional procedure may be able to support healing and save your tooth. If you are experiencing dental pain or discomfort in a previously treated tooth, talk to us about retreatment. 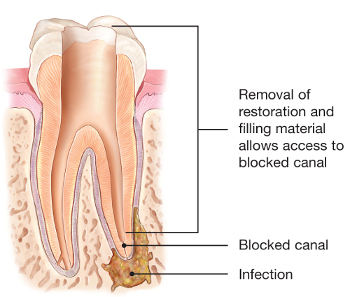 Once retreatment has been selected as a solution to your problem, the endodontist will reopen your tooth to gain access to the root canal filling material. 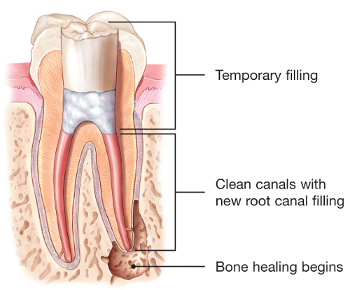 The filling materials that were placed in the root canals during the first procedure will be removed. 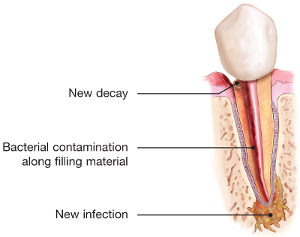 The endodontist then carefully examines the tooth, looking for additional canals or new infection. 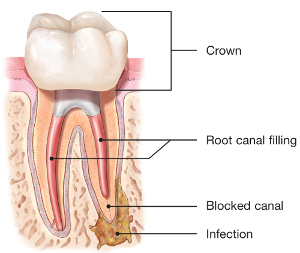 The endodontist then removes any infection, cleans and shapes the canals, and places new filling materials. The opening is then sealed with a temporary filling. 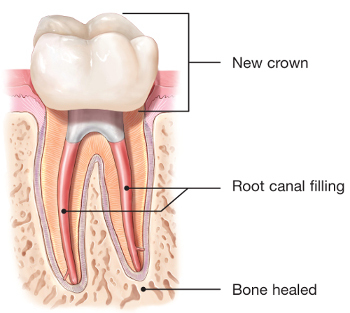 Once the tooth heals, a new crown or other restoration is placed on the tooth to protect it.